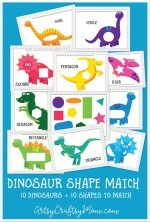 You are here: Home >> Printable >> Printable Dinosaur Pom Pom Mats that your kid will Love! Most child experts agree that young children learn best through play, and that play is actually the ‘work’ of kids! 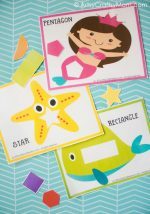 So if you’re teaching your little one about colors and shapes, it obviously helps if you can accomplish the task by playing a fun game. 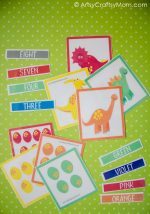 And you don’t need to rush out to buy another expensive board game or ‘educational’ toy; just get these printable dinosaur pom pom mats, and your little one is in for a lot of fun n’ learning! The fact that the dinosaurs are a-adorable doesn’t hurt! 2. Place all the colored pom poms in colored cups. 3. To start the game, use the tong to pick a pom pom from the cup. Identify the color and then locate the same color on the dinosaur. 4. Using the tong, place the pom pom carefully on its matching spot. Repeat till all the dinosaur spots are covered by pom poms in matching colors. For young kids, getting a hang of using the tongs may be a little challenging at first, but it soon becomes fun! Placing the pompom on the spot may require some more practice, but that’s what all our dinosaur sheets are for! You can even have a race by handing two sets of sheets and pompom cups to kids and seeing who finishes first! 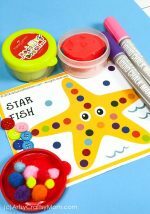 A great way to keep siblings busy this summer! 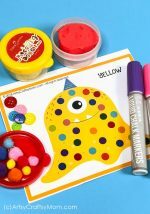 You could also use do-a-dot markers or play-doh to fill the spots to add some variety into your play sessions. Be sure to laminate your sheets first. 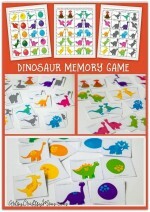 If you have a dinosaur crazy kid like mine, this is perfect for indoor fun. You’re seriously charging $4.50 for some simple dinosaur print outs?! Ridiculous.